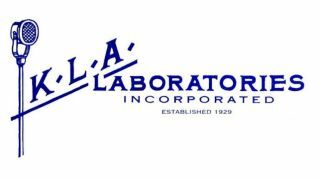 Drew Clausen has joined KLA Laboratories, Inc. in the newly created position of AV project manager at the 87-year-old information technology firm’s Midwest regional office in Grove City, OH. Clausen’s professional experience in the audiovisual field spans almost 20 years. His work in the entertainment industry includes helping implement new digital audio production technologies and streamlining advancement logistics for the Lion King Broadway tour internationally. Clausen has served as technical director for the Capitol Theatre in Columbus’ Riffe Center for the Government and Arts, working with the Columbus Association for the Performing Arts for a decade. He was also a consulting project manager for Columbus State Community College, sound engineer for Opera Columbus and production assistant for BalletMet Columbus. In his new position, Clausen will pursue and provide audiovisual components to the company’s new and existing IT, wireless, cabling, and DAS client projects, where applicable. He will collaborate closely with KLA Laboratories’ technical experts, as well as network with potential clients. Clausen attended Ohio State University on an academic scholarship, graduating with a bachelor of arts and sciences degree in cultural anthropology in 2001. A New Jersey native, he met his wife, a professional ballet dancer, when they both toured with a BalletMET production of Dracula. Clausen is an avid snowboarder and plays guitar in an indie-rock band.